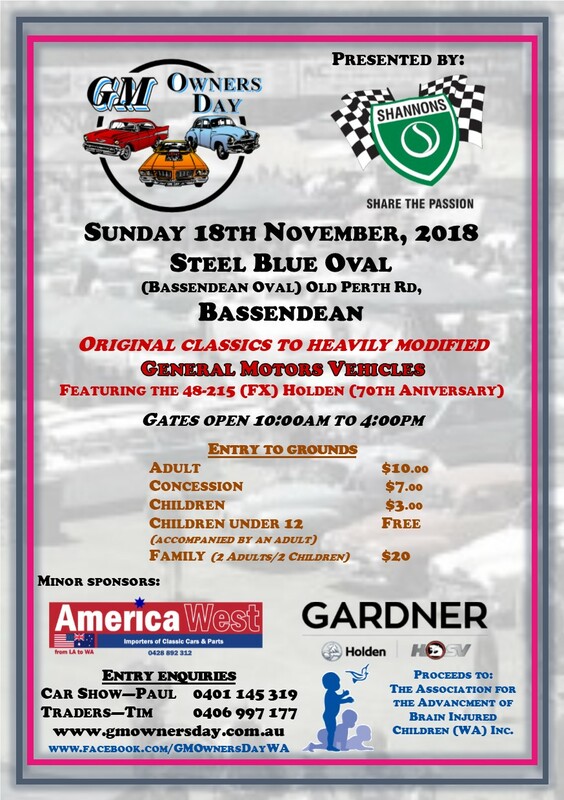 Entries are now available from the website (www.gmownersday.com.au) where you can download a PDF copy or fill out the online version by selecting “Entry Form” on the left side. Please note that entries close 2nd November 2018. In addition, you can keep up to date by following our Facebook page (www.facebook.com/GMOwnersDayWA). We look forward to hearing from you and hope to see you on the day. Just reminding everyone you have 1 month before entries close (2nd Nov, 2018). After this date you will not be able to order plaques or shirts and the price increases $20 for late entry. Under 2 weeks left to get your entries in before they become a late entry. Also for those who just want to attend and admire the cars here is the general public flyer. This is on Sunday. 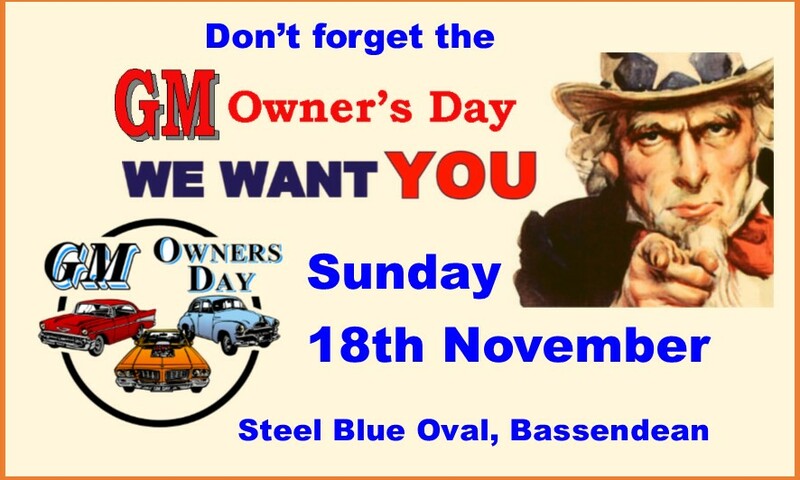 Over 400+ cars on display, plus market and trade stalls, variety of food and beverages along with free kids activities.